This book examines your 'secret world' - the inner workings of your heart, soul and mind - and shows just how important they are in your everyday life. With compassion, insight and love, Brian Goodwin explains what 'makes us tick', looking at the things that spark our desire or hold us back, and opening us up to a heart to heart relationship with the Creator and others. 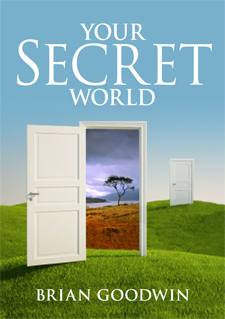 Your Secret World draws on a wealth of biblical wisdom and the work of other Christian authors. Brian writes from a background of many years of Bible teaching, evangelism and mission. These ministries have brought him closely into the lives of others - their joys and their fears. He and his wife Gwenda live in New Zealand and have four children, all married and all involved in Christian ministry. "You have a secret world. Every person has one. No one knows what happens in your secret world. Others will never know, unless you invite them into it. It's your world and yours alone. It's a good world. In it you can climb mountains, dream dreams and travel wherever you want to go. It's where happiness lies. But, then, so does unhappiness... You can learn strategies that will protect your secret world. They can also give you confidence and joy as you live the kind of life you want to live. That's what this book is all about..."
"A very accessible book with a chatty style, full of engaging stories and providing some profound insights."